Unite Housing Workers Branch aims to support our young members who are often among the most vulnerable and exploited workers. We are aware young people have been particularly effected by austerity, with a large number unemployed, and those with other characteristics such as being female, BAME, or disabled, are subject to a 'double whammy' of historical prejudice. 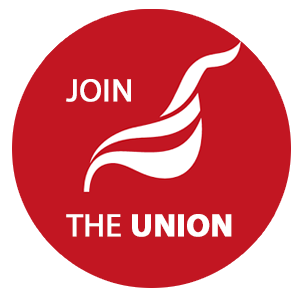 Unite has a commitment to organising and representing the interests of members under the age of 30 in the workplace – and with Unite's Community branches, outside of it, too. Rates of union participation have declined in every age demographic under 65 since 1995. As we must perennially remind ourselves - we are the union. Until workers secure co-operative job control, we must engage in expanding our capacity for struggle in order to more effectively further our demands. There has been no established limit to what workers should demand outside of complete freedom. Unite nationally is taking iniatives to engage and develop more young people as activists. Over 100 young people were invited from across the union to attend Unite policy conference and speak on motions. They brought energy and insight into key debates such as zero hour contracts. The London and Eastern region is following this up with a young representatives' forum in September. Kieran Duffy, our Youth Officer, started with a pilot survey to find out what our members' priorities were. 10 received the London Living wage. 6 were paid increased rate for weekends and overtime. One did sleepovers or night shifts. 8 felt they worked an appropriate number of hours, 4 felt they worked too many. 8 felt their workload was too high. 4 felt their job was not secure. 9 were satisfied with their training. 10 respondents each felt exposed to violent or abusive clients, work stress and computer related injuries. 7 felt either inadequate or no action was taken on behalf of their employer to combat these risks. Respondents predominantly identified as male (9/12), in a sector (care work) which tends to employ more women. It is important not to be complacent with the London Living Wage. In Australia, the federal minimum wage for adult employees is $16.87, amounting to £9.35 in the UK. Yet Cost of Living indexes show Sydney is the only city with comparable costs to the UK. We will now be rolling out the survey more broadly to continue getting the views of our young members, and to find out what their priorities are, and using the results to develop our campaigns. If you would like to get involved in this work, please contact our Branch Committee. Follow the link for the Full Survey Results.